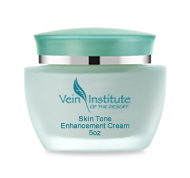 Discover Vein Institute of the Desert’s professional skin care line! Anti-aging, hydration, brightening, cleansing and sensitive skin treatments that also support the health of your skin. 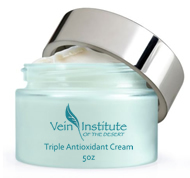 Our Triple Antioxidant Cream combines the power of 90% green tea polyphenols, Caffeine and Resveratrol to give our patients unprecedented antioxidant protection. This formulation visibly reduces the signs of redness and inflammation, reduces the appearance of fine lines and wrinkles and is moisture enhanced with hyaluronic acid. Resveratrol is a naturally occurring antioxidant found in red grapes while caffeine is used to enhance the antioxidant properties of the cream as a whole. 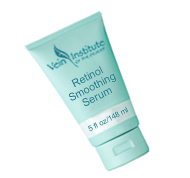 Retinol (Vitamin A) helps to reduce the appearance of lines and surface wrinkles, revitalizes, firms, smoothes, enhances skin tone and texture and helps to minimize the visible signs of aging. This serum has been enhanced with green tea polyphenols, caffeine and moisturizers to reduce redness, increase the antioxidant properties of the serum, and hydrate the skin. This skin tone enhancement kit contains botanical skin lighteners including Kojic acid, Arbutin and Bearberry in an alcohol and acetone-free base. Contains green tea and other soothing antioxidants in a convenient pad application. Hydroquinone, a prescription strength skin bleaching powder, can be added to the pads for extra skin tone refining. It is used to treat freckles, age spots, and other discolorations that may occur due to pregnancy, skin trauma, birth control pills, or hormone replacement therapy. 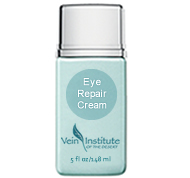 Focused on delivering optimum results, this eye repair cream is the solution for under eye dark circles, puffiness and to reduce the signs of aging. This formulation combines All-Trans retinol, green tea, arnica, and vitamin K along with a system of chelators and peptides to deliver maximum results. 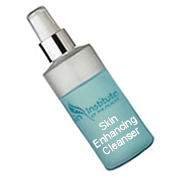 A gentle, soap-free cleanser that aids in the restoration of healthy skin. Removes dirt and makeup, leaving skin moisturized, soft and glowing. Contains 10% glycolic acid and antioxidants. 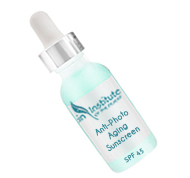 This sunscreen combines broad-spectrum UVA/UVB protection and a unique antioxidant blend to neutralize free-radical skin damage.